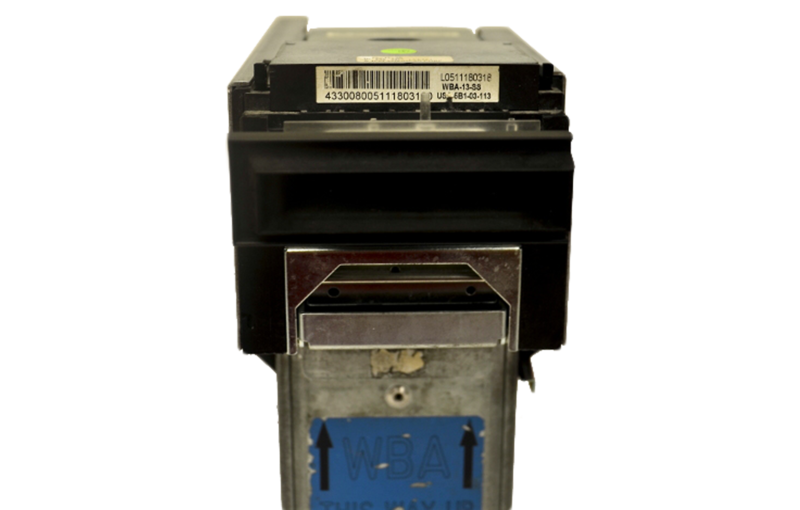 The JCM WBA-13-SS bill acceptor is part of a broader product line that includes 4 models and an option between 2 headers. 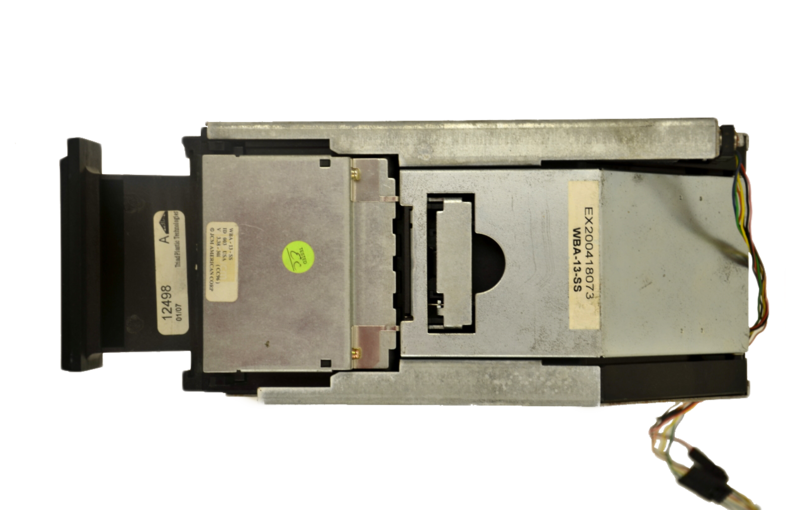 Produced in an EPROM configuration, the WBA was produced to accommodate the design of the change in notes not seen in previous versions of this bill acceptor. 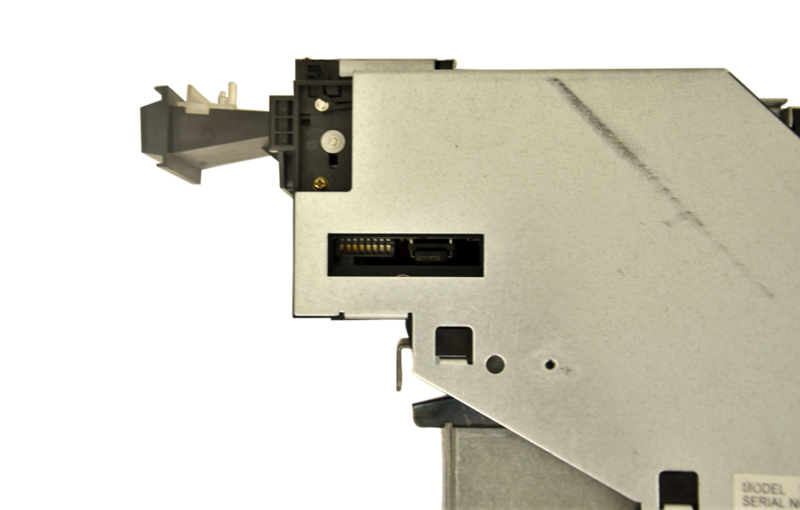 This particular bill acceptor uses 3 sensors, which is commonly used in the US, Australia, and also Japan. 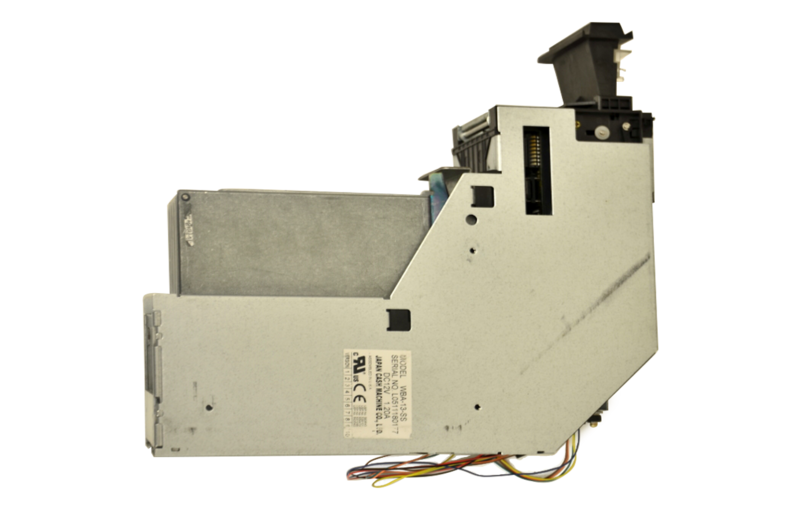 This unit includes the Cash Box and head.